Live in a real home, which reflects personal choice and control as to lease/ownership, location, and potential occupants. Work at a real job in the community which offers meaningful work, fair compensation, and dignity. Central to the agency's core values are the themes of inclusion and interdependence. We believed that the quality of life experienced by the individual, as well as by others in the community, is enhanced when support services are focused on the individual's active participation in community activities, events and routines, and the building of personal social networks. The Supported Living Services/Independent Living Services offer individuals who require varied levels of support to live safely and successfully in the home or neighborhood of their choice. 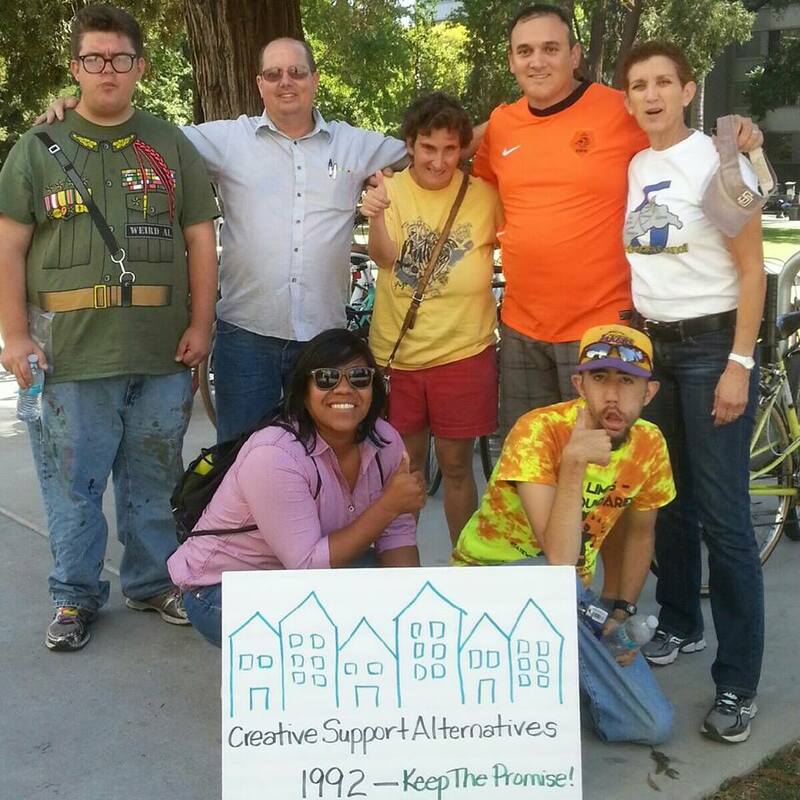 Creative Support Alternatives believes that effective decision-making on the part of the individual requires an agency committed to: the provision of meaningful options; support for choices made; facilitation of emerging self-advocacy skills; and, the use of Person-Centered Planning processes to ensure the growth and active involvement of the individual's personal support network to include family, friends, neighbors, co-workers and significant others. To promote higher quality services and a sense of community within the organization, we are committed to remaining small by limiting the number of people receiving services. Creative Support Alternatives functions as a small, grass-roots agency committed to empowering people to live full and included lives as members of their chosen communities. Developing unique patterns of support with people with developmental disabilities who live in homes of their own. Engaging resources available through SDSU’s Center for Community Living/Interwork Institute to research, demonstrate, and evaluate support services that promote best practices in the field. Facilitating the discovery and pursuit of people’s dreams and visions for their future. Supporting people to build positive reputations and become valued members of their communities. Assisting people to develop and maintain relationships. Standing with people throughout the challenges and celebrations of life.